Be DARING!! What does that mean? Simply stated, be a risk taker! 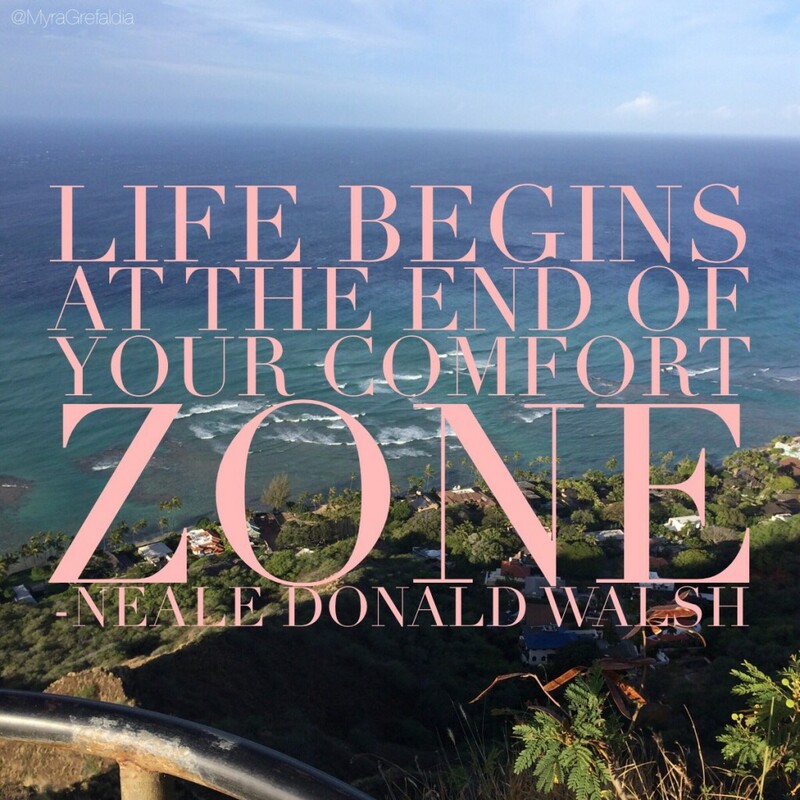 Where in your life are you taking risks? Where are you NOT risking? To be daring is willing to stretch yourself to that uncomfortable place. Granted our comfort zone is warm and fuzzy but warm and fuzzy doesn’t get you your desires. It doesn’t stretch you to grow. We’ve all heard a hundred times, “If you’re not growing you’re dying.” It’s much like a plant; it’s either growing or dying. The four areas of growth are: Spiritual, Mental, Emotional, and Physical. For example, your goal is to lose weight. Your actions is work out 3 times a week in the morning. So you begin and the first week is great. The second week begins and after a long week of work it’s more challenging to get up early three times to workout, not to mention being sore. What do you tell yourself? I’m too tired and can I really wake up this early. Then you make a decision you know what I will start again in a month when things settle down. That was the uncomfortable feeling! That feeling makes it easy to lose sight of what your initial desires: to lose weight and workout 3 times a week. Enjoy the benefits of achieving your desires and creating a larger comfort zone. My mental stretch is owning who I am. I initially started this online coaching website as Viva La Diva Coaching. That was my comfort zone. For some reason my intuition was telling me Myra Grefaldia, start owning who you are! Why are you hiding behind Viva La Diva Coaching? I was in such resistance and the thought of it made me terribly uncomfortable. I would get a lump in my throat! Here I am on the other side writing blogs and sharing my voice to the world, while helping others. I created a larger comfort zone for myself. Now I am enjoying what I do! What’s your next Daring Experience? I just want to say I am newbie to blogs and really liked this blog site. Probably I’m want to bookmark your site . You really have remarkable writings. Thanks a lot for sharing with us your blog. Hah, this just goes to show that when wandering the internet you find some great sites. Thanks for a great blog, love you style!